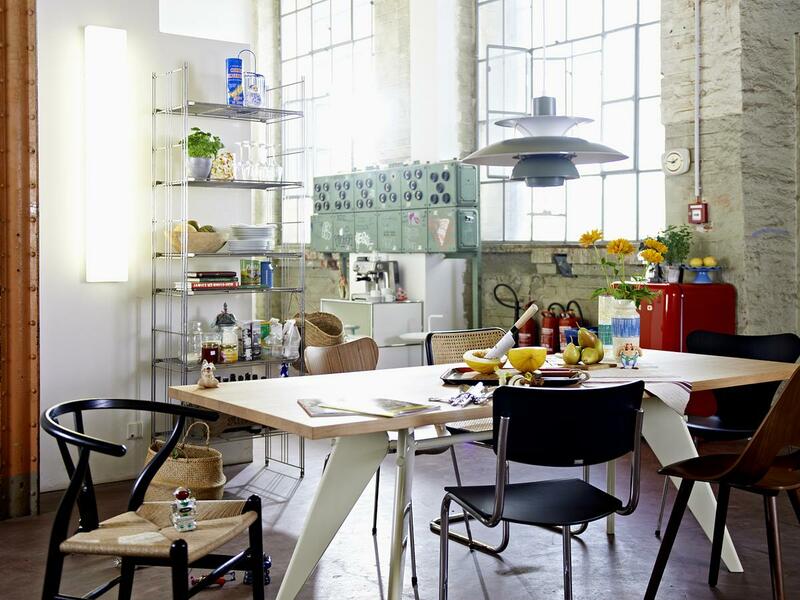 One of the first cantilever chairs in furniture design history the S 43 by Mart Stam has been produced by Thonet since its inception in the 1920s. 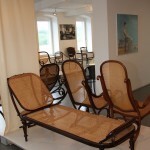 At the time the Thonet chair was part of Mart Stam's contribution to the exhibition "The Apartment" at the Weissenhof Estate in Stuttgart: and Stam's pioneering work influenced numerous colleagues. 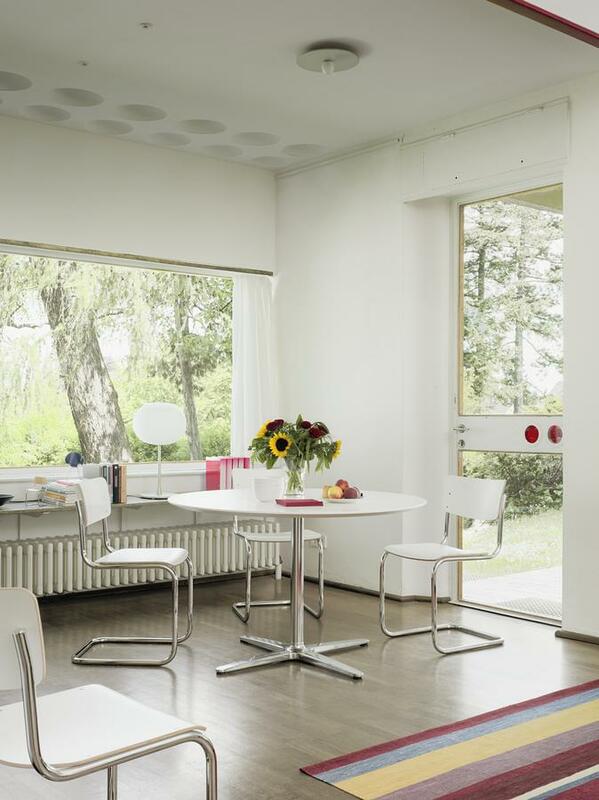 Today Mart Stam's S 43 is one of the genuine classics at Thonet. Distinguished by a timeless, reduced form and elegant combination of resilient tubular steel frame with a seat and backrest crafted from moulded plywood. Is it possible to retrofit felt glides to an S 43 Classic? The S 43 Classic frame is specially produced to allow a retrofitting of felt glides. The glides (transparent or black) with felt insert, add an additional 11 mm to the overall height and cost 29, - EUR per set / chair. The felt pads are installed as follows: With a 4.2 mm drill (available at any hardware store or as the special-hardened Thonet drill bits for Euro) bore holes in the marked locations. The felt pads can then be attached using the supplied self-tapping screws. Can S 43 backrests and seats be ordered individually? S 43 spares cannot be supplied simply because the seat and backrest are not screwed onto the frame but riveted. In addition, over the years the contours and radius of the frames have changed ever so slightly. therefore depending on how old your chairs are, modern seats and backrest may not fit. Thonet however offer a repair service in which chairs are repaired at their factory. What is the difference between the lacquered and stained wood finishes? The lacquered variant is bright and glossy (jet black RAL 9005, white RAL 9010, RAL 3013 tomato red, anthracite gray RAL 7016). The stained version is more matt and the wood grain is visible. 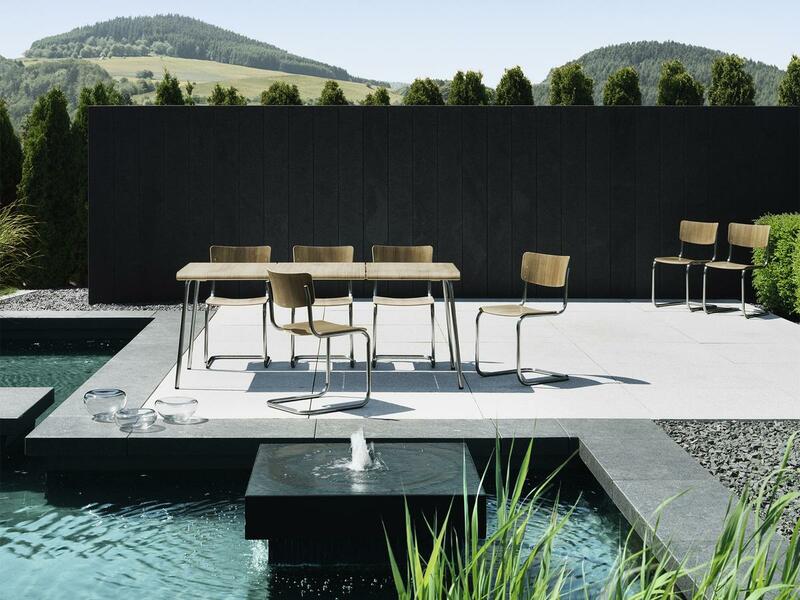 The cantilever chair S 43 by Mart Stam was one of the first chairs designed without back legs and is in many ways now considered the archetypal Bauhaus classic. 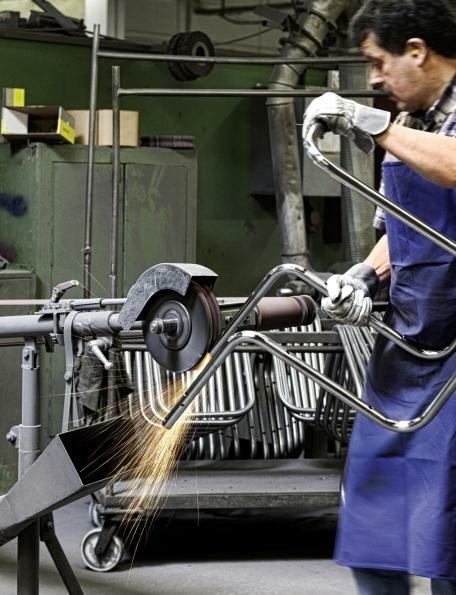 Inspired by car, plane and train seats, for which partly cantilevered tubular steel frames were already being used, Mart Stam's 1925 creation further developed and evolved the principle of the Thonet cantilever chair. 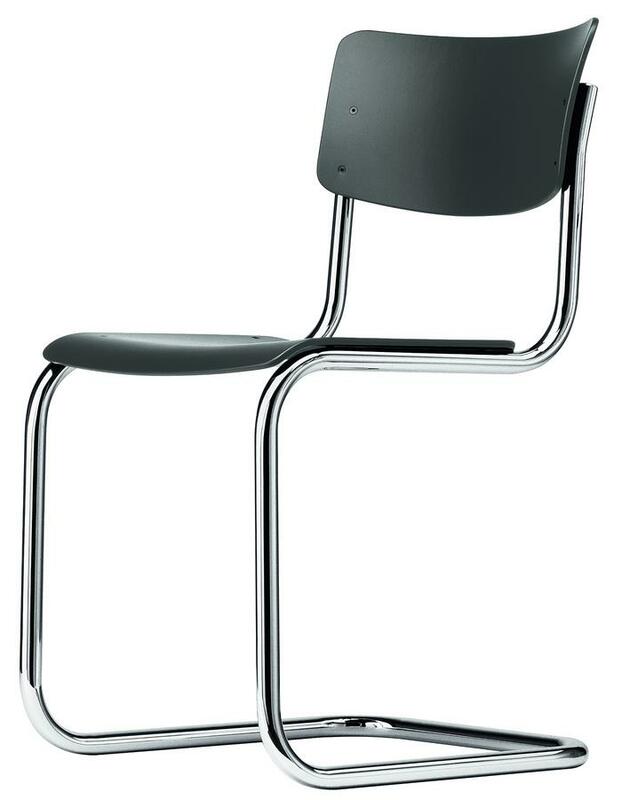 Produced since its creation by the manufacturer Thonet Mart Stam's S 43 without arms was after the Thonet S 33 one of the precursors of the cantilever chair, the rigid nature of its construction meaning a resilient, giving, seat was missing. 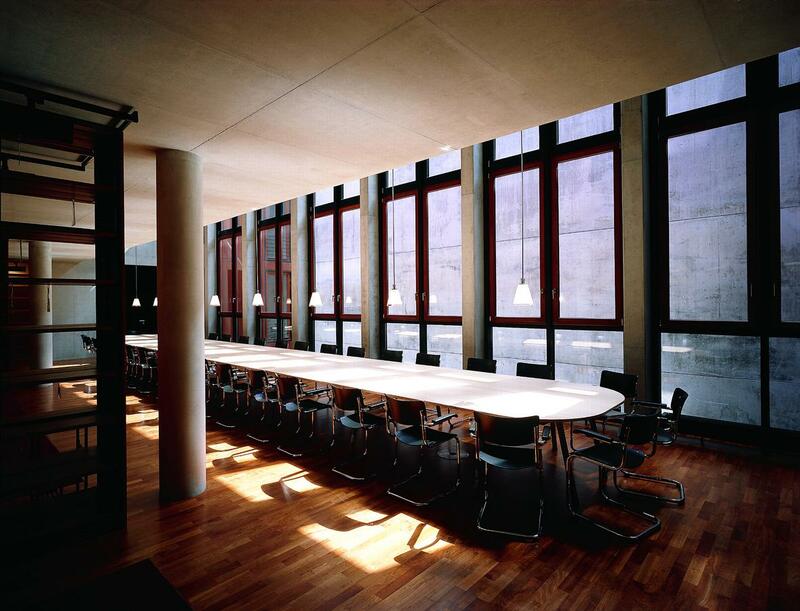 The S 43, was used in the 1927 in the exhibition "Die Wohnung" in the Weissenhofsiedlung Stuttgart, where Ludwig Mies van der Rohe was also represented with a cantilever model. In the following years Stams model was further developed by different designers and as a concept quickly gained in popularity. 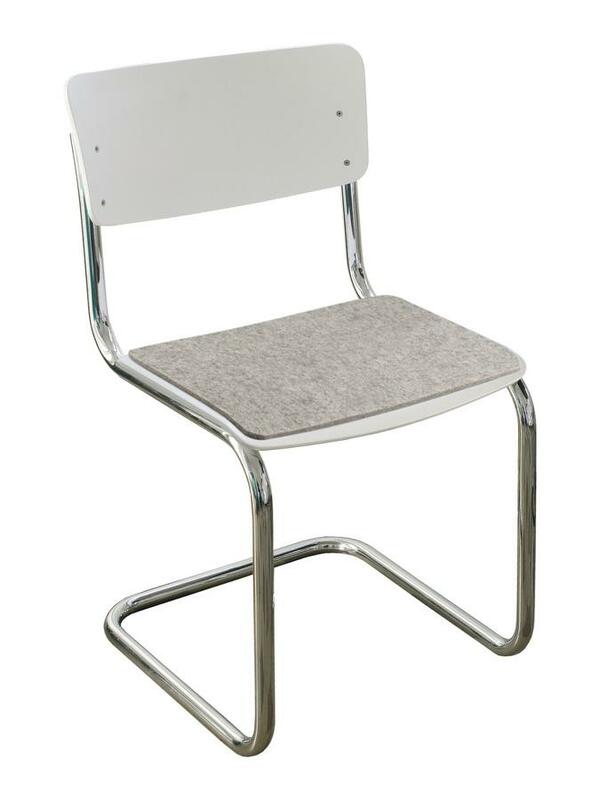 Consequently from the very early days there was confusion about the authorship of the Bauhaus chair, and although in 1932 the Supreme Court awarded Mart Stam artistic authorship of the cantilever chair today the debate still rages as to whether Mart Stam or Marcel Breuer is the real spiritual father of the cantilever chair. 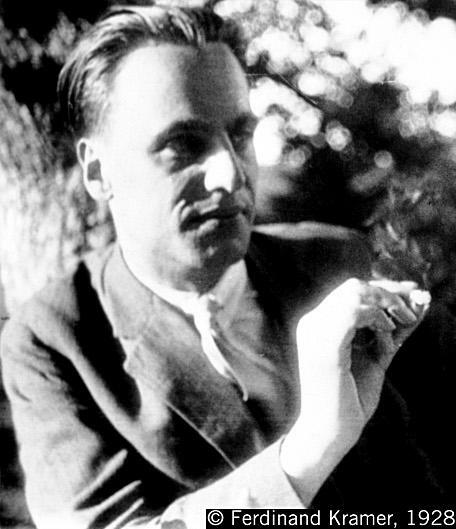 Mart Stam gave his design a cubist inspired form. The strict concentration of the S 43 Thonet chair design on a simple geometric construction is characteristic of a work developed by minimalist reduction. 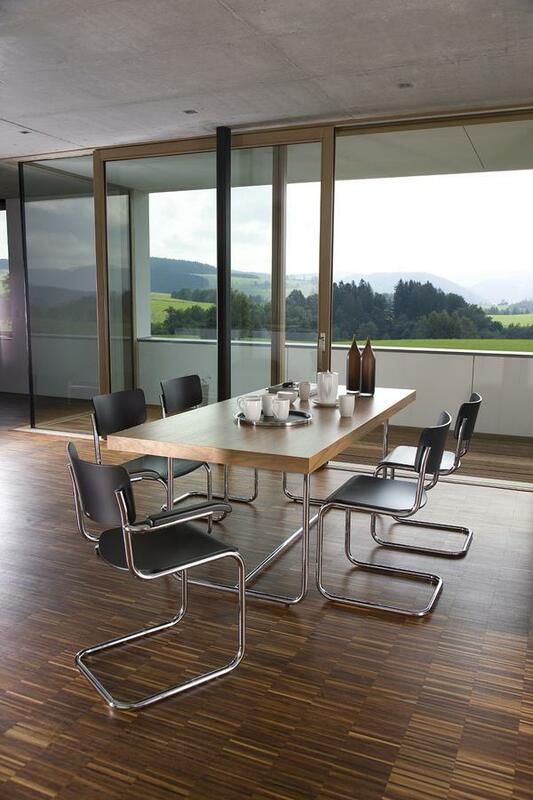 The elasticity of the steel tube allows the frame of the Thonet S 43 to remain flexible and resilient and thus respond to the movements of the user. Upholstery is unnecessary due to this elasticity, and so the seat and backrest could be made ? 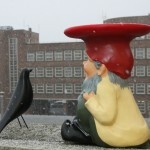 ?from simple moulded plywood. 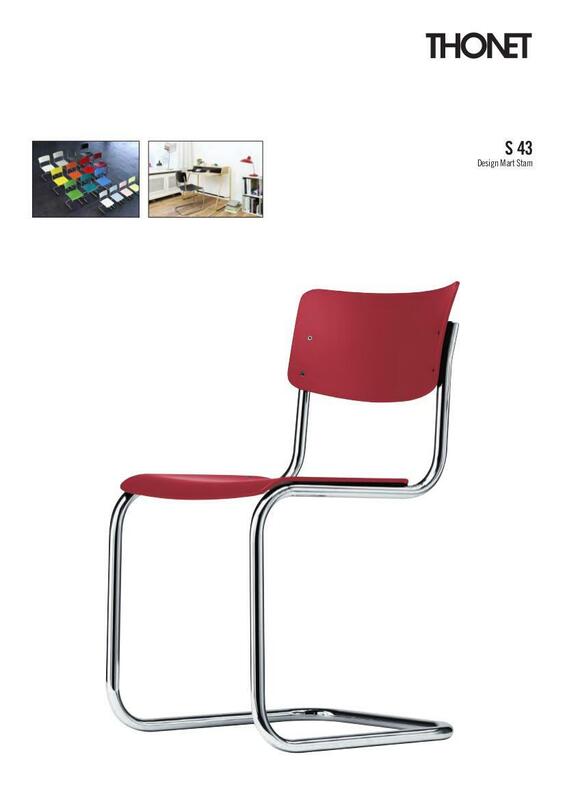 In addition to the S 43 Classic Stam also developed the S 43F, a version with armrests. With its economical aesthetic the S 43 is today considered as an outstanding example of a furniture design in the spirit of modernism that combines comfort and a minimalist design language. 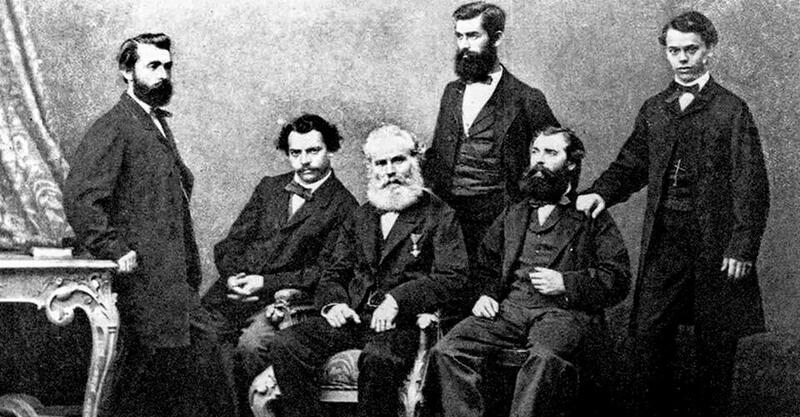 Originally founded in 1819 by Michael Thonet in Boppard am Rhine, Germany as a joinery firm, the company quickly developed into a world renowned furniture manufacturer and for all one which made a name for itself through the use of new technologies and outstanding designs. 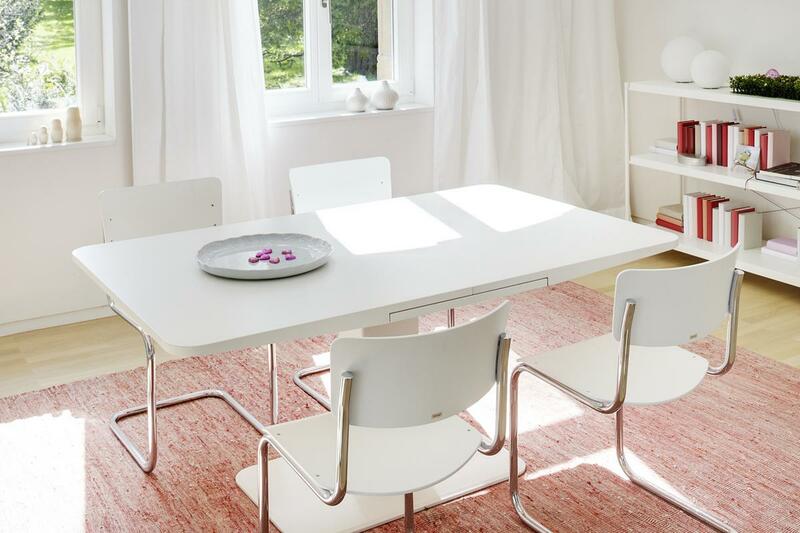 Beginning with the bentwood chairs of the 19th century and continuing over to models such as the S 43 Thonet chairs are characterised by a special combination of technical innovation and novel design. 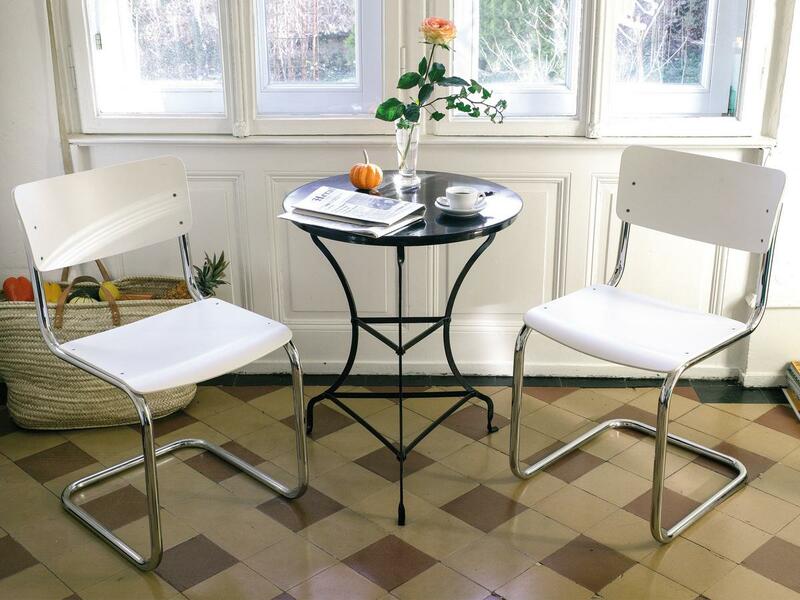 For their famous bentwood chairs Thonet developed a novel layer-glued wood construction that was very durable and much easier to mould than what had previously been attempted. As a result Thonethas always tended to exist in its own technical and aesthetic universe. 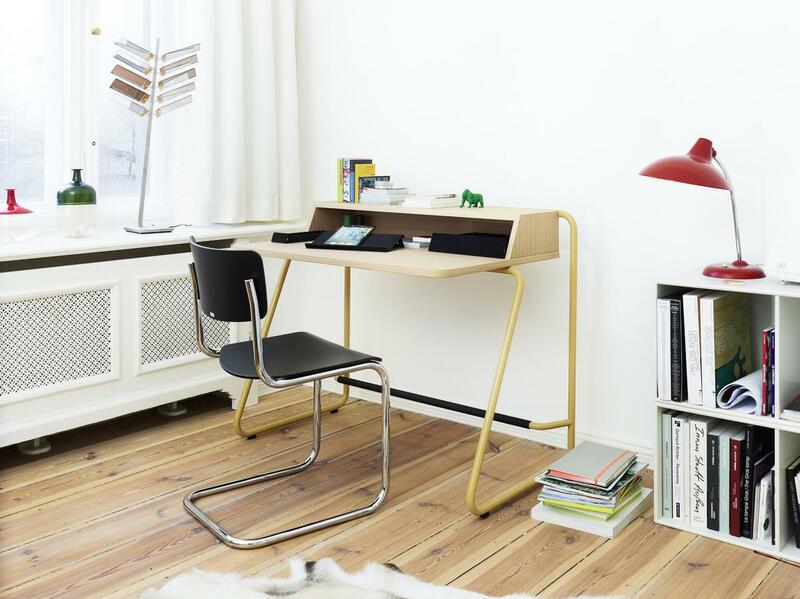 The copyrights of Mart Stam's S 43 are now with the company Thonet, who began production of the cantilever beganshortly after the Weissenhofsiedlung exhibition in Stuttgart. In 1989 Thonet opened a company museum at their base in Frankenberg / Eder where visitors can follow the development of both the S 43 and the company's two hundred years of furniture design history. 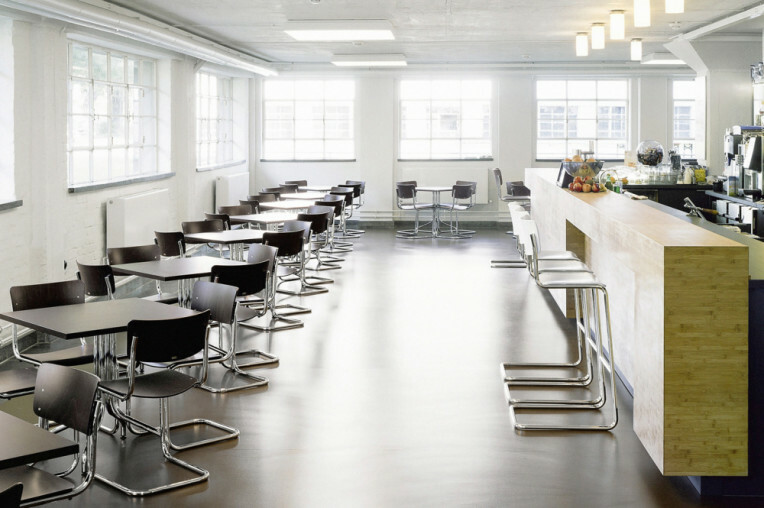 Mart Stam's S 43 without arms and his S 43F with armrests are produced by traditional manufacturing processes at the Thonet factory in Frankenberg, Germany. 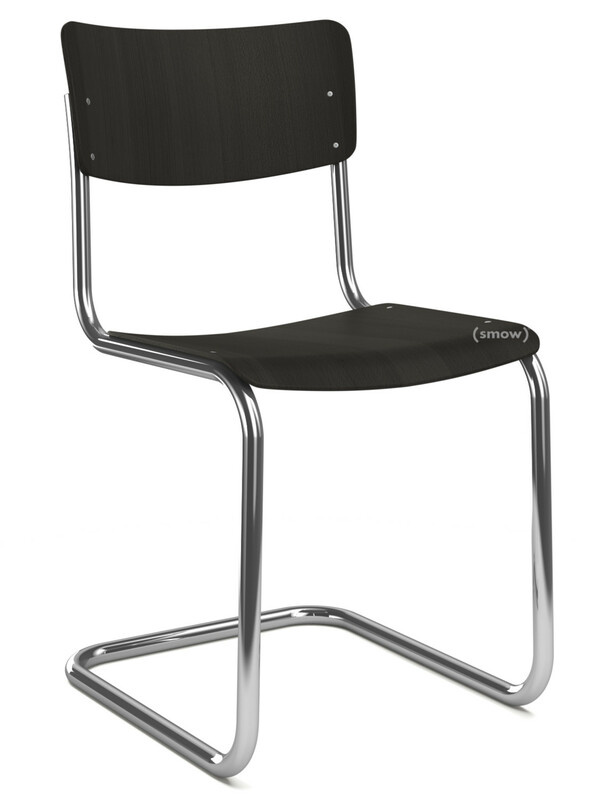 The frame of Thonet S 43 consists of a single metal tube, which is available in polished or polished stainless steel. 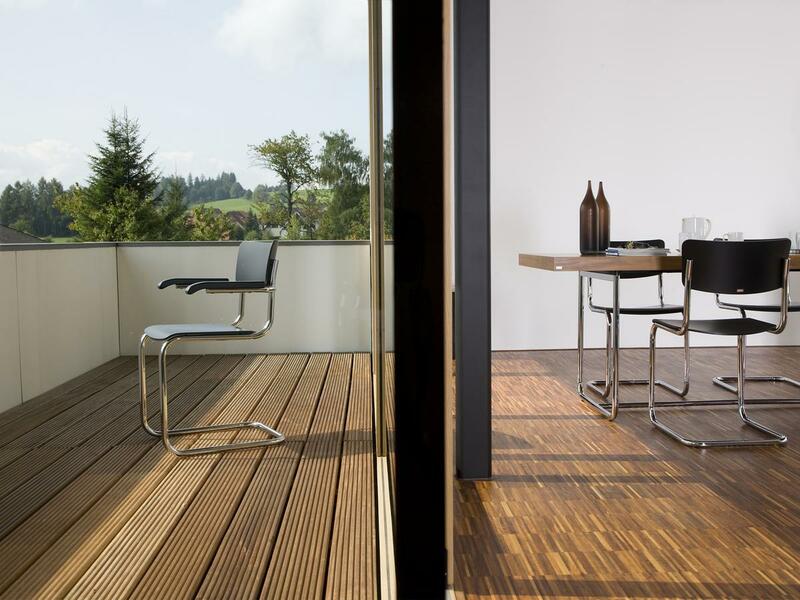 The wood components are sourced exclusively from selected, bright and non-steamed wood from European countries and are further processed by Thonet. 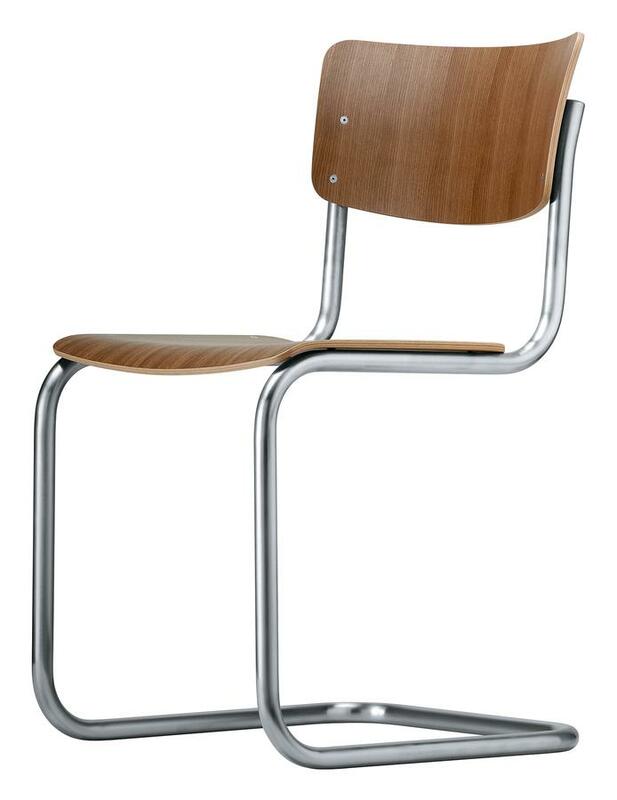 The seat and backrest of the Thonet S 43 are made of veneered plywood and are available in various designs. With its moulded beech plywood shell the "raw" S 43 has a warm, slightly reddish-yellow tone. 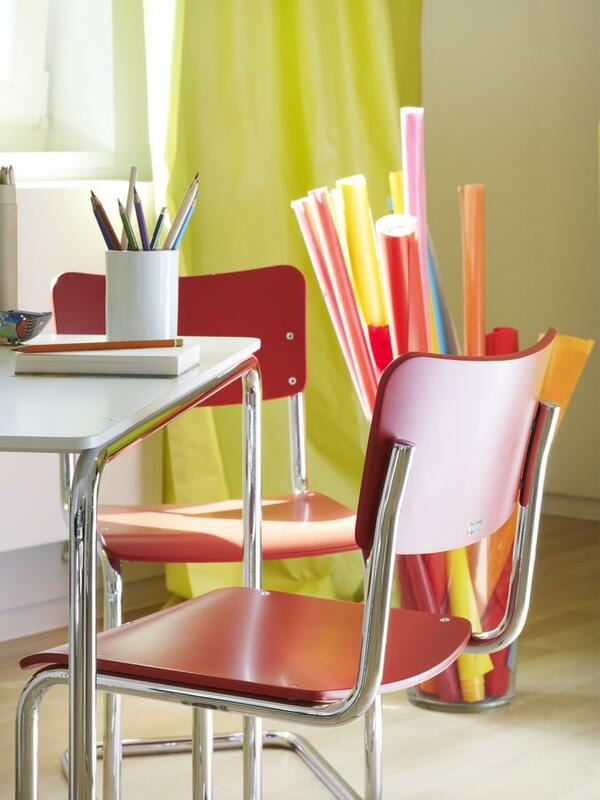 In addition, the Thonet chair is available in different stains and lacquers. 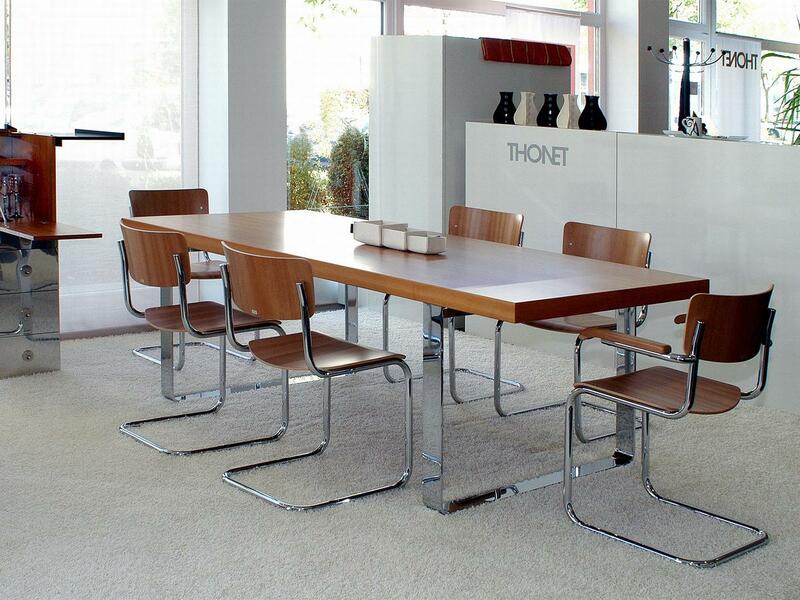 Thonet use an environmentally responsible hydro lacquer that contains only 2% solvent.. Mart Stam, who himself taught at Bauhaus, designed the S 43 in the sense of the Bauhaus spirit: a new, experimental design language which was considerate of the new industrial and manufacturing processes being developed. At Bauhaus next to the functionality of furniture design, the ability to produce the works serially and at an affordable price was of central importance. 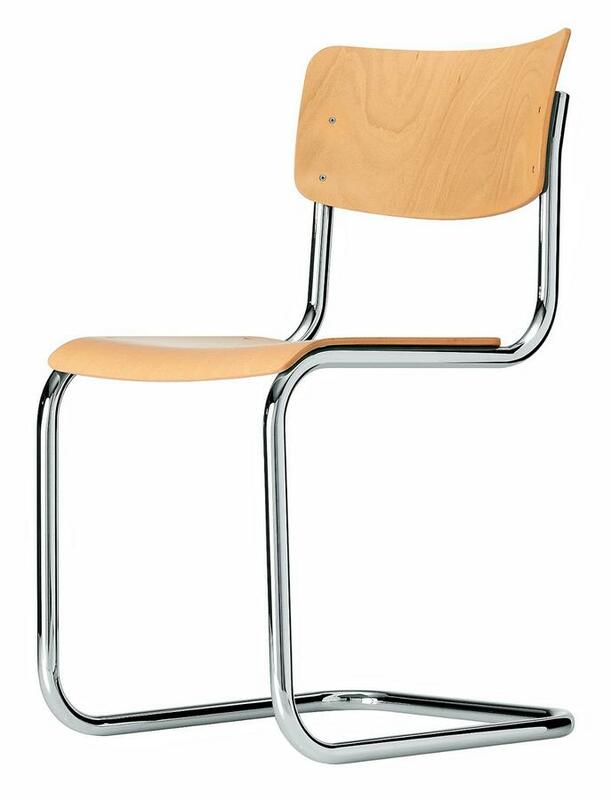 Since 1921, thanks to new manufacturing methods, it had possible to produce flexible tubes with thin walls; thus the Bauhaus chair S 43 was ideal for serial production. 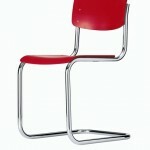 Works such as the S 43 and other examples of bent steel furniture were to become the symbol of a new era. In contrast to the mysticism and warmth of wood, metal furniture stood with its coolness for the reform possibilities of modernity. Characteristic of the once revolutionary furniture design is timeless aesthetics. 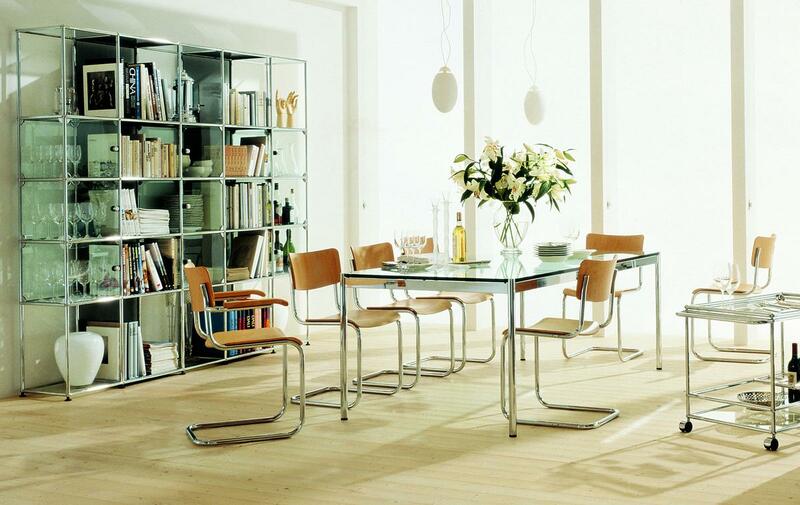 Even today, Bauhaus furniture is regarded as modern and contemporary. 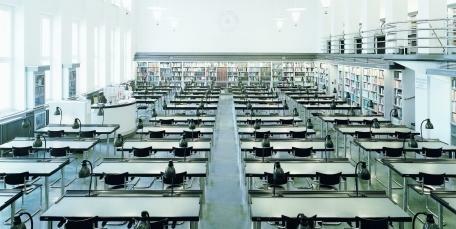 Nearly 80 years after the 1933 furnishing of the National Library in Leipzig with the S 43 the new University Library in Leipzig was in 2008 furnished with S 43 chairs.